1) Bernalillo County District Attorney ___________________________ intends to pursue criminal charges against two APD officers involved in a fatal shooting in March 2014. 2) The Albuquerque Police Department officers allegedly involved in the shooting death of a homeless camper last spring are named ______________________. 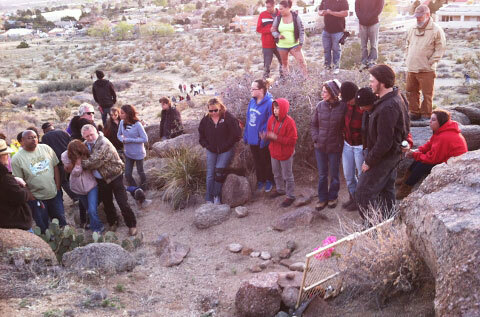 3) The name of the homeless camper allegedly shot and killed by members of our local police force during a confrontation in the foothills of the Sandia Mountains is __________________________. 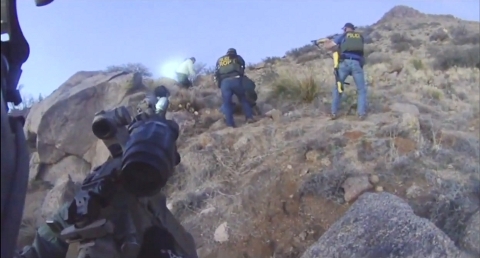 4) Before the shooting, one of the involved officers was recorded by a New Mexico State Police Officer saying that he wanted to shoot the homeless camper in _________________ with a shotgun. 5) One of the officers allegedly involved in the shooting ___________________ in order to secure his pension. 1) C. Kari Brandenburg is the Bernalillo County District Attorney bringing charges against two boys in blue. 2) A. Dominique Perez of the local SWAT squad and detective Keith Sandy will face a preliminary hearing after each is charged with an open count of murder. 3) D. James Boyd was killed by three gunshot wounds. His arm was surgically amputated before his death. 5) A. The alleged shooter, who was previously fired by the New Mexico State Police over a fraud scandal, retired early from APD to make the most of his pension payments.